A number of our established clients know about spinel. Spinel is a relatively unknown gem. It has been unknown at least partly because it is very rare. It is chemically related to corundum (ruby/sapphire) in that spinel and corundum both have aluminum as a major component. In corundum is largely aluminum while spinel has both magnesium and aluminum in it. 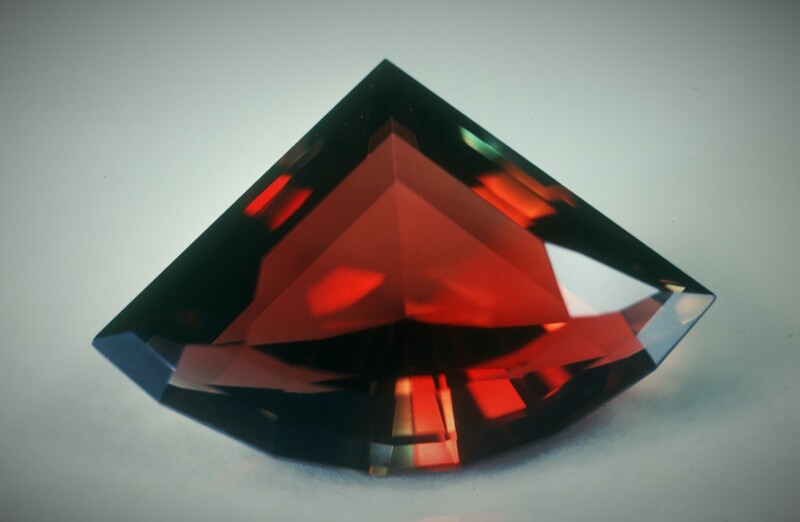 Due to its rarity spinel can be quite expensive. Due to a lot of writing about spinel in the last 10 years people’s awareness of spinel is greater than ever driving up spinel prices even more. 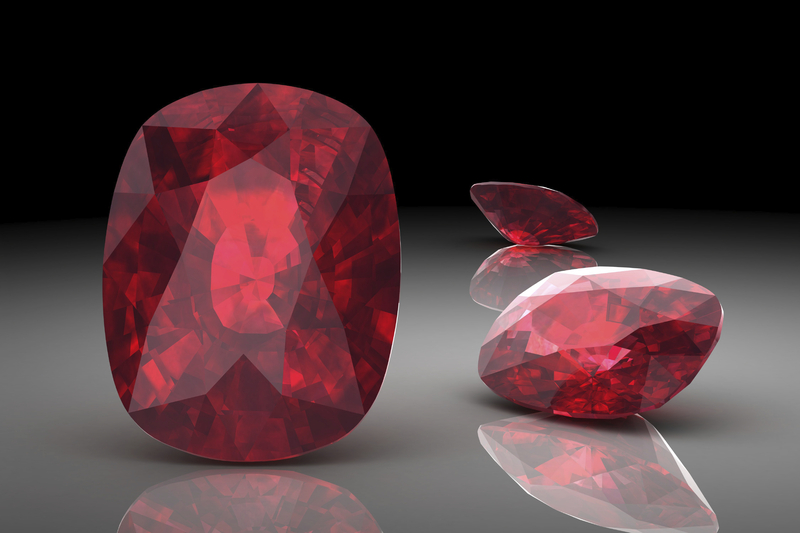 Even back in the 1980’s large red spinels could reach prices in the thousands of dollars per-carat. One example of that is the gem in the photo. The gem in the photo is a little over 12 carats. That gem came through our hands back in the mid-1980’s and at the time was worth about $3,000-per-carat. You can only imagine how much it is worth now!!! Over the past years and especially over the past decade much has been written about spinel so there is at least some awareness of the gem. 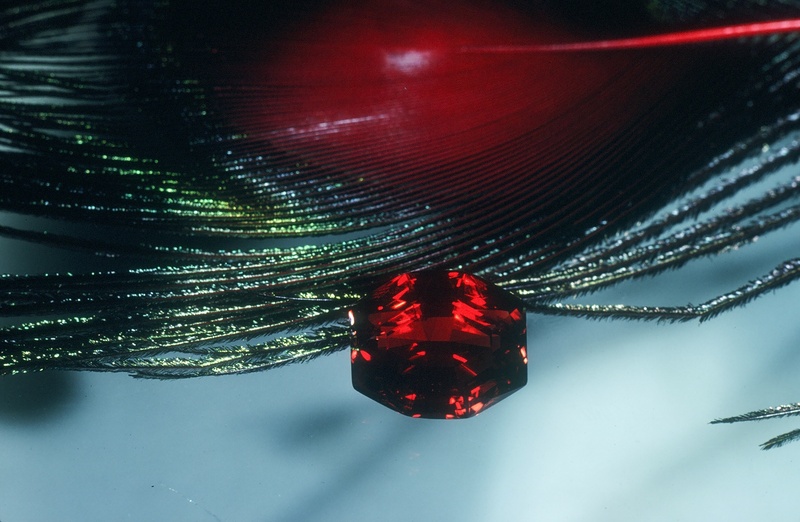 When we were first in the business spinel was only known to come from Sri-Lanka and Southeast Asia—found amongst the ruby and sapphire deposits. Since that time some wonderful gems have come from East Africa and the Pamir mountains in Central Asia—a mountain range in confluence with the Himalayas. Sunstone from Oregon has been a fun item for us for many years. We worked directly with the miners back in the day and had great times out at the mines. The mines are located in a mis-named Plush, Oregon. The main living beings there are sagebrush, jack rabbits, kangaroo rats* and coyotes. But the Sunstone makes it all worthwhile. Like the one in the photo. We have a nice collection of those stones and love them a lot. Sunstone is a Feldspar and a very special one at that. Most Feldspar stones are either opaque, translucent or industrial abrasive quality. Of the transparent Feldspar stones most are an unattractive straw yellow that nobody gets too excited about. Oregon Sunstones can produce marvelous gems of red, green, bi-color red/green, salmon and so forth. A good collection has them all. In addition to the colors some of the stones have hematite inclusions that appear gold in color and which line up in beautiful ways. *Actually the kangaroo rats are quite cute and fun. If naturalists had given them a different name (minus “rats”) they would enjoy some popularity. They come out at night and will beg food at the campfire. Being nocturnal they have great big eyes and have a pretty fawn colored fur. As the kangaroo nickname implies their hind legs are quite large and they can jump amazingly high for their size. They move at times as if they are on a string and make movements that seem impossible and which make a person laugh out loud. Just a glance at the accompanying photo and you understand why these relative newcomers became so popular so quickly. 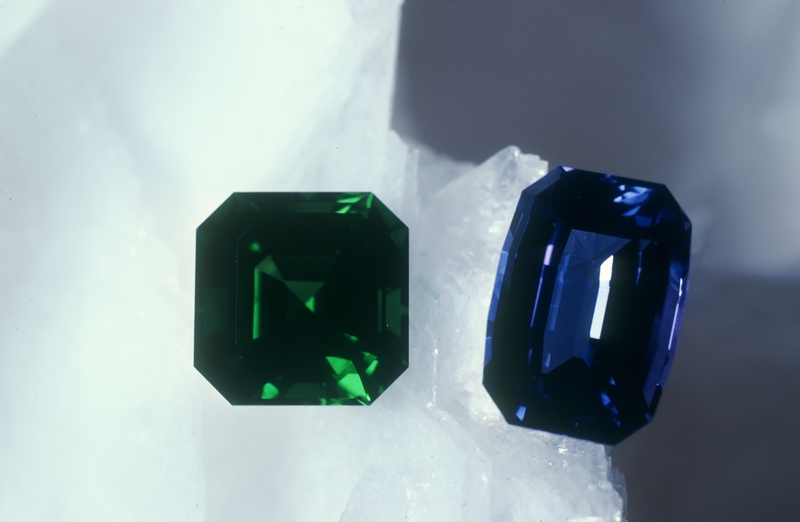 Tanzanite and Tsavorite were both “discovered” in 1967. In 1967 these gems from East Africa were brought to the attention of European and American gem buyers and quickly caught on. Why—the color of each has so much immediate eye-appeal. Tsavorite is much more rare that Tanzanite and comes in smaller sizes. So, Tsavorite has never been quite as well known. Also, Tsavorite has always brought much higher prices—size for size in comparison. But think about it. Tsavorite is a green garnet. That is very exciting. At least 100 years earlier a green garnet was discovered in Russia. That gem is Demantoid Garnet. Demantoid is a different type of garnet with its own interesting properties. Tanzanite hit the world with an almost sonic boom. The color and the comparatively larger sizes were an instant hit. At the time Tanzanite made it to Europe and the USA sapphire of good color was almost impossible to find. Tanzanite was initially promoted as a Sapphire substitute. However, the look of Tanzanite is distinctly different and unique. Having its own “look” has put Tanzanite in the position of being appreciated for its own sake. Sapphire in good colors and clarity and size is still an expensive proposition but does have the advantage of being 9 in hardness and suitable for daily wear. Discussing the trade-offs between gems brings us to one issue of being a collector. Just like a mom loves all her kids a gem collector loves all the gems—differently but equally. 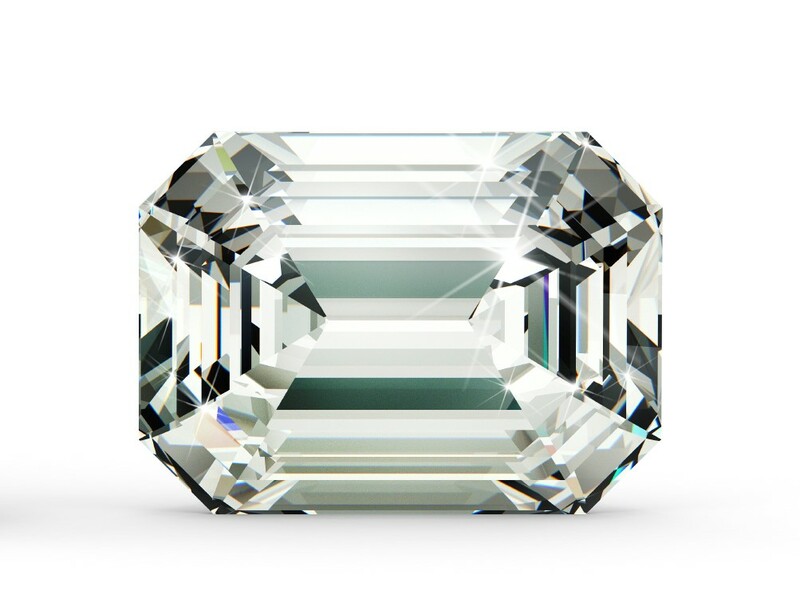 About 2 ½ months ago we wrote about an upcoming sale of a 100 ct. D/Flawless diamond at auction. Just last week the sale happened at Sotheby’s in New York. Reports are that the stone sold for a little over $22 million USD. The auction estimate was between $19 and $25 million. So, the stone’s final sale price exceeded the $19 million low end. In the last few years a number of high flying diamond sales have gone over the high estimate but not this time. Our only guess as to why is that 2 of the reputed 3 sources of ultra-high customers have their wealth based on oil which has had a price drop over the past few months. Compared with some other great gems it seems in some sense that the buyer got a bargain. A bargain few people can afford—that’s true—but a bargain nonetheless. The good news is that the lower oil prices may very well help out the already strong U.S. economy. That is news more important to most of us who live here in the USA. Every time oil has climbed in the past 40 years economists have likened the price hike to a tax increase. Well then, it must be that lower oil prices can be likened to a tax cut for Americans. How great that is. During the past 7 years colored diamonds have sold for much more per-carat at the major auctions than have white diamonds. The Pink Star “sold” at Sotheby’s for over $83 million. True, the sale fell through but the stone is now valued at $72 million. The Wittlesbach-Graff blue diamond sold for $31 million in 2008 when the financial sky was falling. The stone known prior to that sale was known simply as the Wittlesbach diamond. The famous jeweler Graff bought it in 2008, had the stone re-cut which improved its shape and color and then added a hyphen and his last name to the stone. Reports are that Graff resold the stone in 2011 for $80 million to the then ruler of Qatar. Continuing with the adventures in colored diamonds the Graff Pink sold at Sotheby’s in 2010 for $46 million and the Christie’s Perfect Pink sold in 2010 for $23+ million. It seems that the fancy colored diamonds have finally found their true place in the gemstone hierarchy. The gem in our photo is an emerald cut diamond similar in many aspects of its appearance to the one in the story. What is emerald—emerald is a variety of the mineral beryl. Emerald is vibrant green variety of beryl usually colored by Chromium. In other colors beryl has other names. The blue color for beryl is aquamarine. Pink and peach beryl is Morganite. Yellow and golden beryl is heliodor. Red beryl is Bixbite and so far has only been found in Utah. Colorless beryl is called Goshenite. Chemically, beryl is a Beryllium-Aluminum Silicate. As mentioned emerald gets its green color from Chromium. There has been an addition to “emerald” of green gems colored by Vanadium but the classic emerald look comes from Chromium rich beryl. Interestingly, the red in ruby is caused by Chromium as well. Emerald is a type 3 gemstone according to GIA terminology and therefore can be expected to have eye visible inclusions. Where emerald comes from—a fair question that people ask is “where do emeralds come from.” In a later paragraph we will show you a lot of the countries of the world where emeralds have been found from time to time. However, the real question people have has to do with current production in commercial quantities. Right now South America seems to be the production king of emeralds. 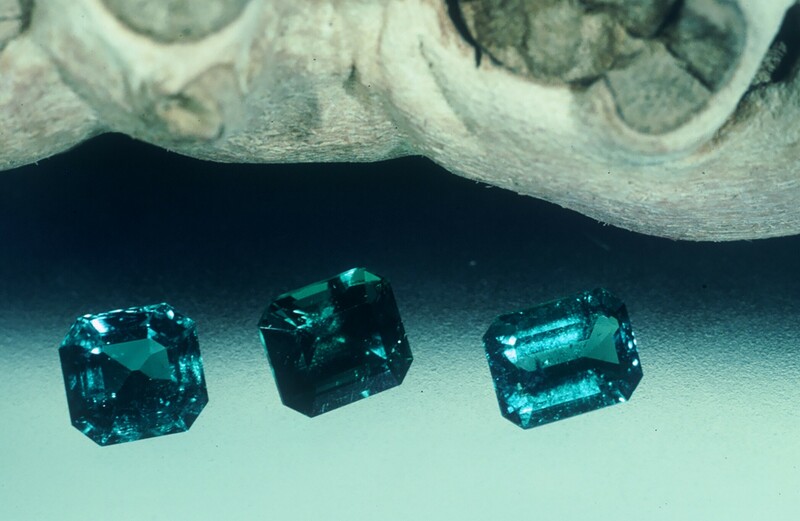 Colombia is now known as the source for the most coveted emeralds. The color of the best Colombian emeralds and the fine transparency of the crystals from Colombia make them the quality king. What is it about the color of Colombian emeralds that people love? Well, first we have to talk about the color green. Green is a secondary color. Secondary colors are made from primary colors. In the case of green the primary colors are blue and yellow. Green can tip towards more blue or more yellow. Grass green, for instance, has more yellow in it when compared with the more bluish green of a fir tree. In the case of Colombian emeralds, the slightly bluish green tends to be very pure and not complicated by any over-tones of other colors—blue + yellow + no additional overtones = a very beautiful Colombian emerald green. That being said even within the production of Colombian emeralds there are color and quality differences. From Chivor the emeralds are slightly more bluish green and from Muzo the emeralds are slightly more yellowish green. But taken as a whole Colombian emerald is slightly more bluish than emerald from Russia. Prior to the ascendency of Colombian emeralds to the pinnacle of desirability Russian stones were considered the best. There may be some debate over this issue still. That debate would occur primarily in Europe. For the first 15 years or so of my career in gems Brazil was known for producing emeralds in the state of Bahia—generally very poor quality emeralds. Then in the 1980’s there were two discoveries of emerald in Brazil: Santa Terezinha, Goais and Nova Era, Minas Gerais. Interestingly both of these discoveries produced emeralds of startling beauty. Some of the best stones of Nova Era rivaled gems from Colombia—maybe not the finest from Colombia—but Nova Era gems can be beautiful. Santa Terezinha emeralds have distinctly more yellow than Colombian stones but have a uniquely undeniable beauty. But let’s not leave out African gems. Zambia has produced lots and lots of large attractive gems. Usually in my experience though the Zambian stones have a color that is marred by overtones of gray. But the Zambian stones can be large and relatively clean and truly lovely in the better quality. Back to the Graff Ruby—the stone by comparison to the earlier mentioned Sapphire is quite small. Rubies are smaller. At 8.62 carats the Graff Ruby is in fact mounted in a ring and quite wearable—hope those prongs hold!!! The gems in the picture are cushion cut ruby to give you an idea of what a cushion cut ruby looks like. The actual Graff stone has sides that do not bow quite as much. This coming April yet another spectacular diamond will be at auction. This time the gem is a colorless stone of “D” color and is internally flawless. The auction this time will be held in New York at Sotheby’s. The gem is reported to weigh just over 100 carats and has been fashioned into an emerald cut (similar to the stone featured in the photo). Estimates of the price it will fetch are from $19 million USD to $25 million USD. If any of the recent auction results are predictive the price could well exceed the estimates. We will know soon.